Schwinn is renowned for producing quality exercise equipment and the Schwinn Crewmaster Rowing Machine is no exception. The Schwinn Crewmaster combines durable components with comfort ergonomics to bring you the best in its class. The Crewmaster rowing machine features adjustable magnetic resistance and a durable nylon transmission system for smooth and quiet operation. For user comfort, the Schwinn Crewmaster Rowing Machine features an ergonomic comfort grip handle and a large ergonomic comfort vinyl padded seat. The seat sits on an oversized steel rail that ensures smooth gliding action throughout your rowing workout. 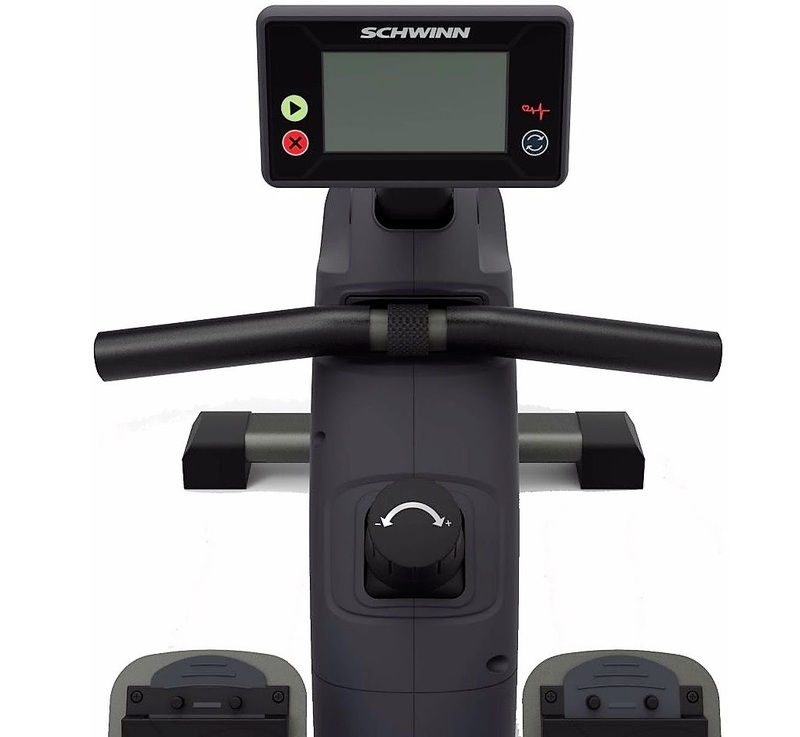 The Schwinn Crewmaster’s resistance is adjustable via a simple-to-use turn-dial knob and the rowing machine comes with an easy-to-use and easy-to-view fitness monitor with a large LCD screen that displays motivating feedback stats including time, distance, strokes, calories, recovery and pulse. 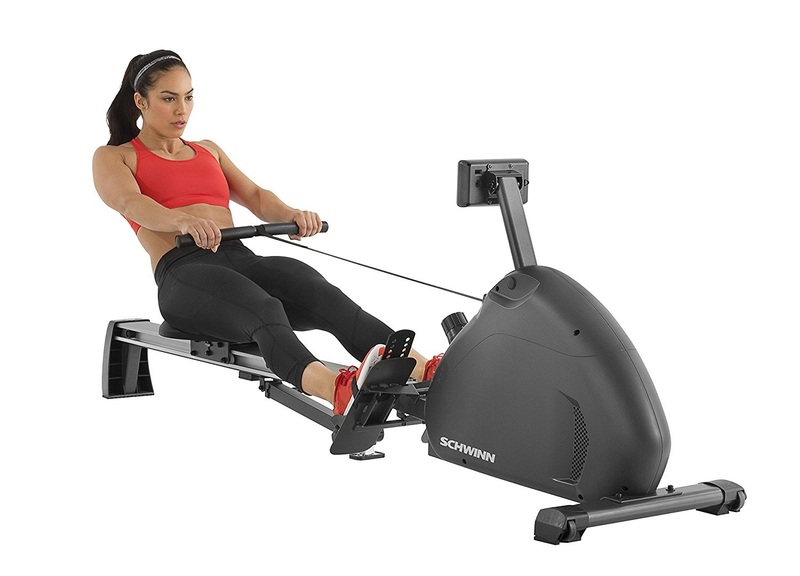 Solidly constructed, the Schwinn Crewmaster Rowing Machine allows for a maximum user weight capacity of up to 300 lbs. Fitness tip: Rowing for just 30 minutes could burn between 262-449 calories for women or 310-531 calories for men, depending on the intensity of the workout. Exercising on an indoor rowing machine gives a great all-round workout that’s low-impact on your joints yet engages all the major muscle groups of the body, toning and strengthening your entire body. Not all rowing machines offer the ability to adjust the resistance. Because the Schwinn Crewmaster does have this function, you can increase the rate at which you build muscle as you increase the resistance/intensity of your workout. Alternatively, leaving the resistance on a lower level will help you to maintain a higher speed rate while exercising, putting the emphasis on reaching a personal aerobic or cardio level. Prices/discounts/shipping indicated correct at time of writing/publishing and may be subject to change anytime. E&OE.